When a person has a pet, Louisiana state law holds that pet owner responsible for the actions of the pet, whether it is a dog, cat or snake. If you have experienced an animal attack or suffered a dog bite, the medical expenses associated with treating your injuries can cost hundreds to thousands of dollars, which should not be your financial responsibility. If your child has been injured by a person’s pet, medical bills may not be your only concern, as small children can suffer from severe injuries and possible disfigurement as a result of an animal attack. At Waitz & Downer, our personal injury attorneys will provide you with a free case evaluation to review the details of your case and provide a recommendation on how to proceed with receiving compensation from the pet owner or the pet owner’s homeowner’s insurance policy. Many times, a victim or the victim’s parents will not seek compensation believing that the victim was somehow at fault. However, Louisiana is a strict liability state that holds a pet owner liable if it can be proven that the pet owner could have prevented the injury. Additionally, Louisiana state law has outlined that a pet owner is at fault as long as the animal was not provoked by the victim. Therefore, a pet owner is likely to be held partly or wholly financially responsible for consequences of the incident. In addition to the financial burden of an animal attack, the victim can suffer from devastating physical injuries, pain and suffering, permanent disfigurement, disability, and psychological trauma. A court of law will typically put a monetary figure on the suffering of the victim, in addition to payment of medical bills and loss of wages, to ensure justice has been served. The legal team of Waitz and Downer will fight tirelessly to ensure you obtain the compensation you deserve from the damages caused by the attack. If you or a loved one has been a victim of an animal attack or dog bite, you must not hesitate in calling our legal team for a free case evaluation. 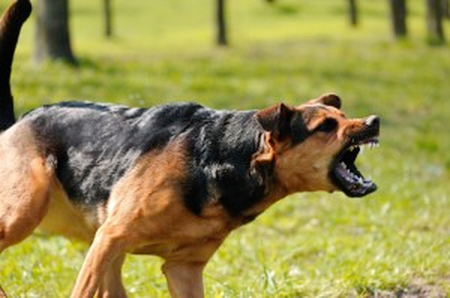 The State of Louisiana has a statute of limitations of one year on seeking damages from an animal attack, which means you must act hastily in order to pursue seeking damages from the pet owner. Contact our skilled legal team today by calling (985) 876-0870, so we can get started on personal injury case today!